We know you love red, and this Kaffe Fassett design will be perfect for the summer! This fabulous designer print has styalised fern like print in light pink adn blue with spots of orange and yellow on a ackground of bright post box red. Perfect for many different hounds but especially the black girls! 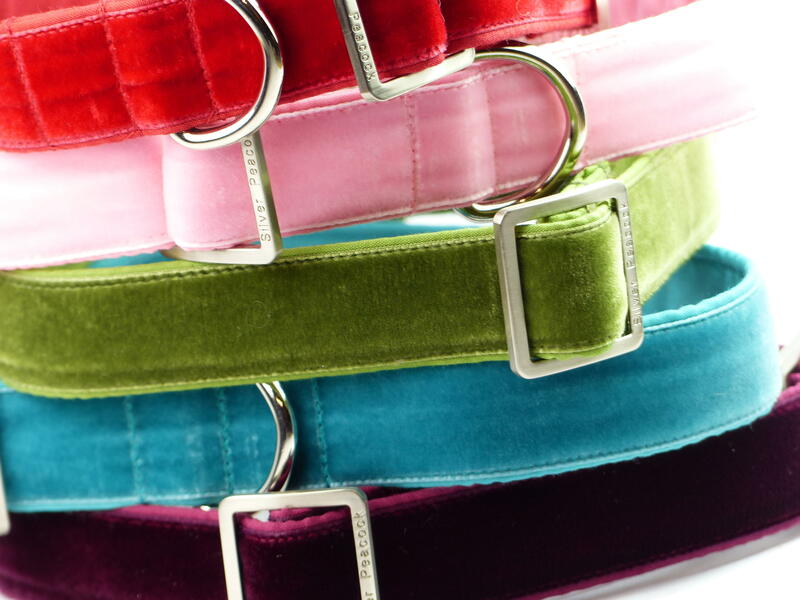 The collars are lined in co-ordinating red fabric and are finished with our signature robust silver coloured hardware. The martingale has red webbing section.